©Anne Mimault / Fondation Hirondelle A women listening to Studio Kalangou on her smartphone in Niamey, Niger. 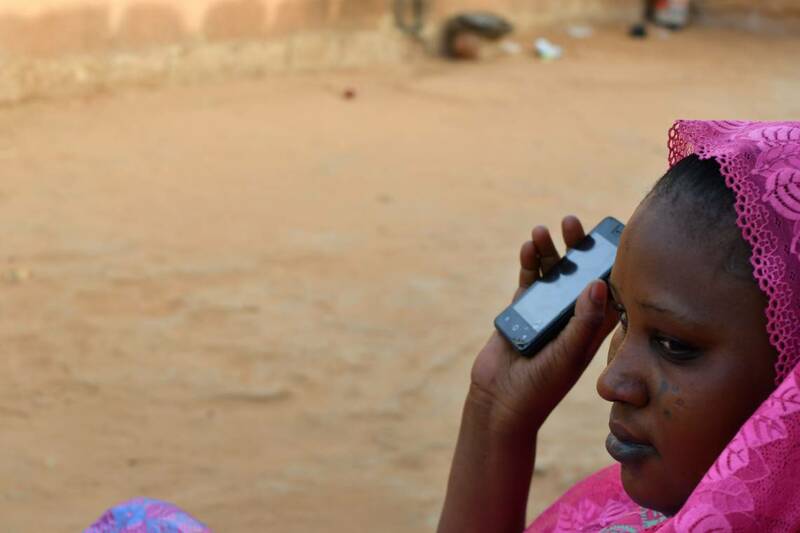 The news and podcasts produced by Studio Kalangou, Fondation Hirondelle's radio program in Niger, are now available via WhatsApp. A new way to reach populations that are not traditional FM radio users. The WhatsApp group of Studio Kalangou currently has nearly 500 subscribers in 11 countries, with Niger leading the list. These statistics are modest at this stage, but they should continue to increase in the coming months. This new way to broadcast content should enable Studio Kalangou to reach audiences complementary to its FM radio listeners: migrant populations, diaspora, youth. The articles published by Studio Kalangou on its website are published on the WhatsApp group, as well as all links to audio podcasts (newspapers, magazines, and the daily talk-show "Forum"), in French and in 4 local languages spoken in Niger.